Is anything wrong with your PC? Why does your computer work slower with every passing day? Why did your sensitive PC go down again?! Who is that evil genius who took you over and caught your PC with his tenacious hands? Your system registry is that traitor. Don't bend the brows - you are not guilty. You have done many rather useful things for your computer protection, but you forgot about sensitivity and weakness of an internal component, which is a computer heart practically, it's system registry. To help your registry to dive into fountain of youth, we have prepared an effective Registry Cleaner. What's inside? From 5 to 20 errors happen in average system registry every day. Every error descreases your overall system performance by 0.03 percents. Fortunately, Registry Cleaner can get you out of all problems above and speed up your computer. Reliable solution from Security Stronghold, new Registry Cleaner can become your personal assistant in the fight with stuff and corrupted files in your registry. In the case of registry fix a manual solution for registry clean is very laborious and impossible practically. Registry fix with the help of this Registry Cleaner becomes quick and easily done. 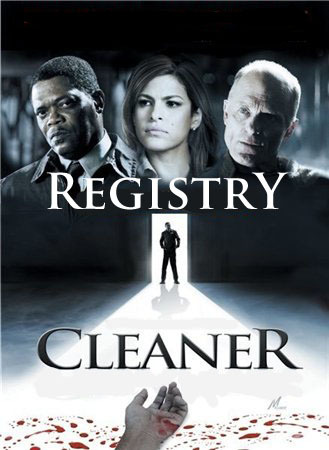 Remember, clean registry is not a just one procedure. If you don't want to go through with registry errors you should fix registry periodically. Download Registry Cleaner now and get a significant advantage over usual user. Registry Cleaner has shown excellent results in invalid shortcuts fix, sound entries and fonts. Windows System Registry is a database, which contains all the information about your hardware and software settings. Whenever you start your PC, your operating system read registry settings. As you work on your PC, keys and entries start clogging up the Registry or being removed from it – this may lead to an ERROR or missing important files. As time passes, your Windows registry turns into a something like waste-paper basket, which gathers everything from writing-table without dividing on useful and useless things. When your registry gets stuffed with a great deal of invalid entries it slows down your Windows and may be a cause of errors in other valid installed programs. As you should clean your waste-paper basket not to be headed up of unnecessary papers as you should clean up registry. To anticipate any problems with your software and preserve high performance, all corrupted and unnecessary registry entries must be deleted. You should keep your Windows registry clean and efficient to ensure that your computer will work properly. Important: A serious error may be caused by an ONLY missing or corrupted registry key. Clean registry is a beginning of your security. Don't let bad start to make a breach in your security - download Registry Cleaner now. There stay in the gain in any case!